Women have long sought longer lashes. Fuller darker lashes make our eyes look wider, healthier, and shapelier. Although they are frequently associated with femininity, not every woman is blessed with naturally luscious lashes. Most women seek to create or enhance this effect through the use of eyelash curlers or extensions. However, these are temporary and labor-intensive solutions that could damage lashes over time. Now there’s a way for women to enjoy a naturally full look without having to spend precious morning minutes curling their lashes by hand. Eyelash perms, also known as lash lifts, are a semi-permanent alternative to curling. After just one session, women can enjoy weeks with the full and curled lash look they’ve been coveting. Imagine rolling out of bed with the perfect natural lashes ready to go. Just as hair perming will curl your locks, eyelash perming curls your upper lashes, flipping them upward to create the same effect you’d get from an eyelash curler or mascara. 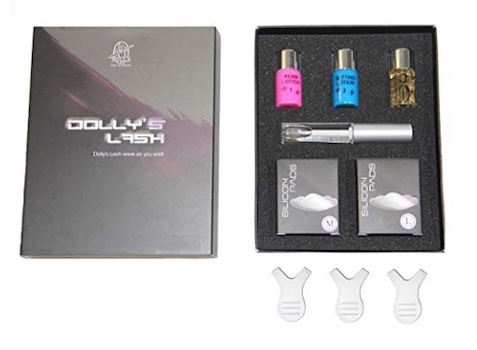 The process uses a special adhesive and perming solution to keep the lashes in place. Although you may need to follow some basic post-procedure instructions while the lashes set, the results are maintenance-free until it’s time for your next treatment. The entire process lasts roughly 45 minutes and should result in only mild discomfort. Prepare for the appointment by making sure your lashes are clean and makeup-free. You’ll also want to remove your contacts if you wear them. The procedure will begin with a brief consultation in which you’ll discuss your eyelash care routine and desired results. If you want to have your eyelashes tinted in addition to the perm, now is the time to discuss it with your technician. A lash tint will make your lashes darker and further enhance the overall effect. In some cases, this discussion will occur just before the actual procedure. However, your technician may want to perform a skin test lasting a few days to ensure you won’t have a negative reaction to the chemicals they’ll be using. When it’s time for the procedure to begin, the technician will coat your lashes with a gentle adhesive. This glue-like substance holds the lashes in place as they are shaped using foam rollers, rods, or heating clips. This part of the process is customizable, allowing you to get a tighter or looser hold. At this point you should be squeezing your eyes shut while the lashes are held in place and the technician applies a perming solution, sometimes called a lifting lotion, with a small brush. This substance works to break down the shape of your eyelash hairs, softening them and making them more malleable. Your lashes are covered with plastic wrap and left to sit for 5-15 minutes. When this time is up, the technician applies a third and final substance, a neutralizing solution which acts as an activator. In other words, it rebuilds the bonds that were previously broken down by the perming cream. These bonds rebuild around the shape of the rods or rollers holding the lashes in place. Once again, your lashes are covered in plastic wrap and left to sit for another 5-15 minutes. Your technician may or may not give you an eye mask for this stage. When all is said and done, the technician gently washes away the solutions with water, separates your lashes with a comb, and leaves them to dry. Eyelash perming is not FDA-approved and comes with some risks. After all, the eyes are a very sensitive area and prone to irritation when exposed to chemicals. The perming solution itself can lead to blisters, rashes, redness, and inflammation. If the solution is left on for too long, eyelashes may fall out. If it is otherwise misapplied and gets into the eye, ulcers could form on the eye itself. Finally, even if everything goes right, repeated perming sessions might dry out the lashes, making them brittle and prone to breakage. You may be at a greater risk of these side effects if you have sensitive skin, watery eyes, styes, or a history of dry eyes or allergies. If you have any of these conditions, consult with a dermatologist before proceeding with treatment. To avoid these side effects, it’s essential that you either locate a well-reviewed and experienced technician, or if you’re using a home perming kit, that you follow the directions to the letter. It’s also important not to perm your eyelashes more often than is recommended. The cost of a professional treatment varies widely, from as little as $25 to as much as $100. However, some people may prefer to purchase a DIY kit, which are typically significantly less expensive per treatment. An eyelash perm can last anywhere from four weeks to three months. Over this time, it may become less noticeable as the permed lashes grow out and are replaced by new ones. The rate at which this growth cycle occurs varies by individual and will determine the duration of your treatment. Regardless of how quickly the perm fades, you shouldn’t get treatments more often than once every four weeks. While there are no formal studies about the efficacy of eyelash lifts, many online blogs and forums report successful results. However, some individuals do note that the curled lashes appear shorter while others cite the expense associated with the procedure as a potential problem over the long term. The best results likely go to those with naturally long lashes that are too straight. There are a variety of DIY kits on the market. We’ve taken the time to analyze a handful of the best, including their contents, cost, and general pros and cons. Professional grade, and recommended for professional use only. Keratin in solution is supposed to be healthy for lashes. Numerous sizing options for the best fit and results. Silicone pads are more comfortable than rods. More complex and may need to be done with the help of a friend. Expensive and may be more than you actually require. No latex, which sometimes causes lashes to fall out. Multiple silicone pad sizes make it easier to find the right fit. Easier to use than many other kits. Fewer sizing options than the more complex kits. Foam rollers are less comfortable than silicone pads. Some claim the directions are confusing. Keratin is supposed to promote healthy lash growth. Latex free fixing gel is gentler on lashes. Fewer pads to work with than kits of comparable pricing. Can buy pieces separately, customizing your needs especially where pads are involved. More expensive than many other kits. Lash lifts are fairly low-maintenance. All you need to do is treat them gently for 24 hours after the application. In other words, don’t get them wet, apply any cosmetics, or mess with them too much. If you do, it will negatively impact the results. How do lash lifts measure up to more conventional methods of eyelash enhancement? Let’s take a closer look at these alternatives to determine the best method for you. Eyelash extensions are synthetic attachments that you glue to your eye. Like any other hair extension, they give a fuller and lengthier appearance. Offer a far fuller and more glamorous look. Takes less time than curlers. Takes more time than the lash lift, as they need to be reapplied each day. Can fall off at inopportune moments. Can damage real lashes when removed. Eyelash curlers are small cosmetic tools that bend the eyelash upward for a set time period to force them into a curled position. 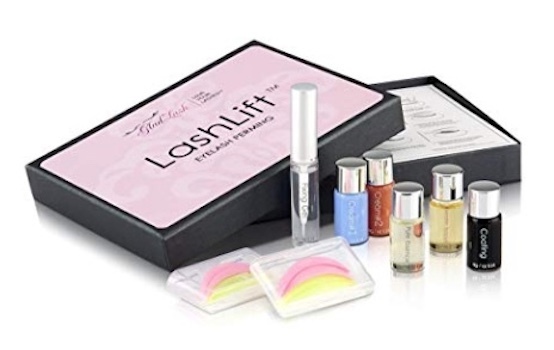 Less costly than both false lashes and lash lifts. Doesn’t involve the use of chemicals or glue. Offers a more natural look than false lashes. Can tear out lashes if used improperly. Doesn’t last as long as either other method. Are eyelash perms worth it? That depends entirely on how much you value the results. There are risks involved, but those risks can be mitigated by finding a skilled technician or carefully following the instructions that come with your DIY kit. If you decide to go with a professional, make sure to do your homework. 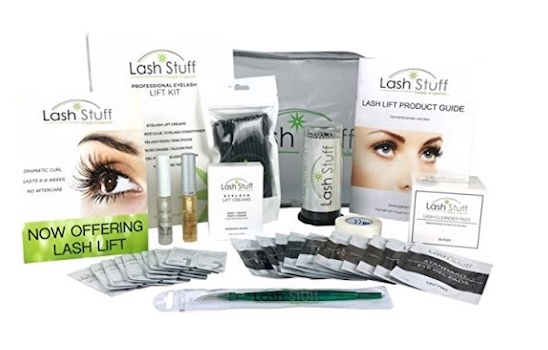 Start by finding someone specifically skilled in lash lifts and a history of positive reviews. Also look into your state’s licensing requirements and check that your chosen provider is properly qualified. During your initial meeting, ask the following pertinent questions. How many lash lifts do you do in a week or month? Do you have customer reviews or testimonials? You also want to make sure that they’re asking the right questions as well. After all, a professional will want to ensure that you get the best results. They’ll ask about potential allergies, sensitivity, desired look, and more. A provider who asks questions is one who cares.